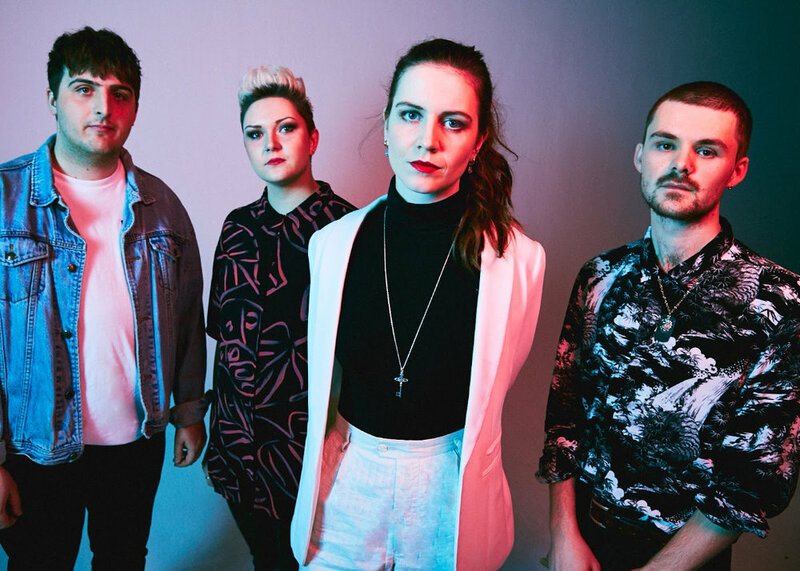 Another Sky have today unveiled their stunning new single ‘Apple Tree’, showcasing vocalist Catrin Vincent’s astonishing range and the band’s strength for cool atmospherics and poignant lyrics. The track (given its premiere by Radio 1’s Annie Mac, alongside plays from Radio X’s John Kennedy, and Radio 1’s Jack Saunders last night) is accompanied by a beautiful stop-motion video, directed by Dann Parry. ﻿‘Apple Tree’ is both the perfect successor to the band’s previous single ‘Chillers’, and also a huge cinematic step forward. 2018 saw the band make a bold statement with debut EP ‘Forget Yourself’, setting the tone for their politically charged lyrics and social observations. ‘Avalanche’ speaks of toxic masculinity, violence and social marginalisation, whilst ‘Chillers’ tackles the complacency accompanied by wealth. Media and fans alike quickly jumped on board throughout 2018, with Huw Stephens witnessing their Dalston Servant Jazz Quarters Residency and immediately offering the band his final ever Maida Vale session, and the band garnering an early invite to appear on Later…with Jools Holland in October. Known for their enthralling and mysterious live shows, and with tickets flying for their upcoming nationwide UK tour, 2019 is Another Sky’s for the taking.